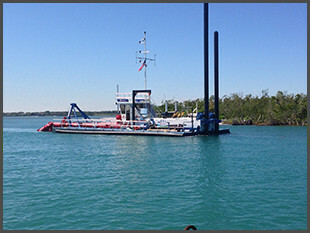 As an environmental restoration dredging manufacturer, it’s our objective to assist with keeping our ports, harbors, and waterways open and free from debris. Transporting passengers and equipment on water is a reasonably affordable option for trade. With the global population increasing there will be a higher demand for secure, economical, and viable water logistics over the next several years. The preservation of ports, harbors, and navigable waterways is thus a critical activity for Ellicott Dredges and its customers. Ellicott’s small and medium-sized portable cutterhead suction and swinging ladder dredges are best suited for maintaining local ports, harbors, and waterways regardless of the climate and the surrounding environment. 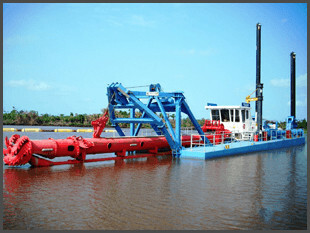 Dredges of this size offer worthwhile solutions for such dredging projects. Increasing international trade has led to enormous growth in maritime transportation, which includes access to canals that are properly maintained is critical to businesses around the world. If a canal becomes impassable, vessels and barges that companies depend on come to a complete stop. 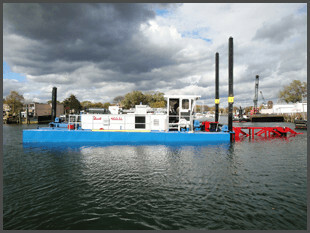 The Ellicott Swinging ladder dredge is purposely built to operate in small channels and canals. 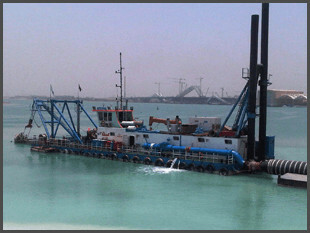 These dependable dredges do not require wire & anchors to operate and therefore can continue to work as other vessels continue to move freely throughout a canal with minimal interference. 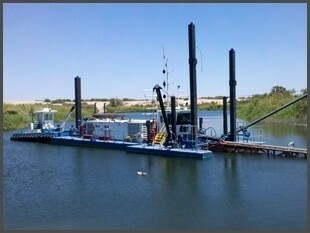 River dredging is the most commonly utilized use for Ellicott’s cutterhead dredge equipment. These projects can vary in purpose and magnitude. 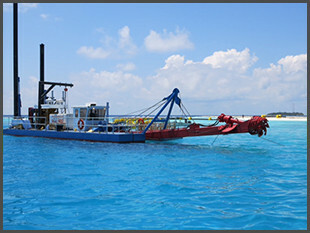 Ellicott offers a variety of medium-sized dredges for each of these specific situations. 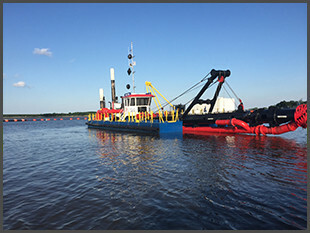 River dredging projects are designed to manage channel depth, provide flood mitigation, eliminate contaminated materials, deepen navigation channels, and sustain, environmental efforts. Communities that border a river are prone to annual flooding during rainy seasons. If the river is not proactively managed silt, sand and debris can accumulate and form a bottleneck. If a significant rain event occurs accumulated sediment can limit the flow of water, and the river may rise above its banks and flooding properties in the immediate area. Ellicott’s truck transportable designs allow local governments and contractors to rapidly deploy their dredges to any location to quickly restore channels to the proper depth and hydraulic flow. 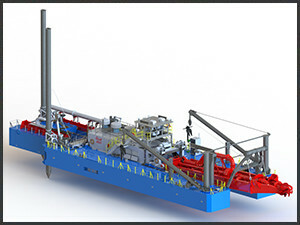 After a project is complete, transportable dredges can be readily moved and stored off-site until it is needed again for the next project. Sediment buildup is a source of trouble that causes depth and water quality issues for both organic and man-made lakes. Sediment buildup can impact recreational activities and marine life. In addition, runoff from nearby developments or construction projects can also further contaminate the water in a lake. Without consistent maintenance dredging, lake properties can decrease in value as access to docks diminishes and, clear water becomes murky. As silt and nutrients overtake a lake, the result can be heavy vegetation, and algae build up – eventually leading to a state of eutrophication and death of the local fish population due to hypoxia or a lack of oxygen. Dredging can prevent eutrophication and can also reverse the process in most cases. Ellicott dredges are built to manage lake depths and for contaminated material cleanup. The demand for lake dredging services is increasing throughout the world as cities restore inland lakes for tourism and developers build along shorelines. Keeping the approach channels to a port open or creating a new facility can benefit the local economy on many levels. Regular maintenance dredging ensures that ships can move freely in and out of these passages without issue. The accumulation of silt, sand, and other sediments leads to ships running aground, damaged hulls, navigation issues. 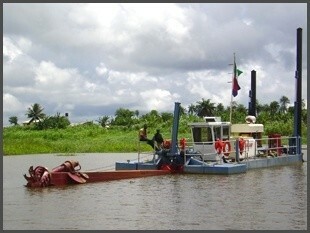 Dredging works projects are the best way to maintain channel depth. Maintaining the depth of a marina, whether private or public, is vital in protecting patron vessels from damage. Regular dredging ensures that boaters can move freely in and out of these passages without issue. Keeping a marina clear can benefit both businesses and the ecosystems upstream from where the dredging takes place. The build-up of silt, sand, and other sediments in harbors leads to boats running aground, damaged hulls, navigation issues, and lost business to marinas. 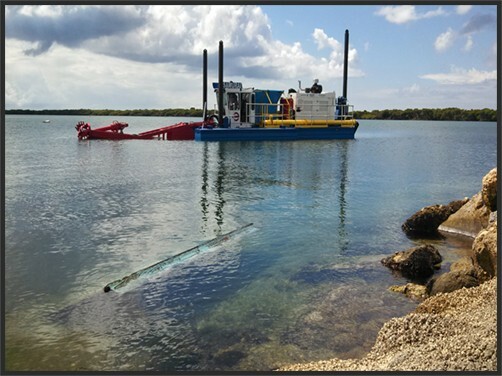 If a marina needs to be dredged at least once every two years then a rule-of-thumb says that it makes more sense financially to own and operate a dredge rather than hire a contractor.